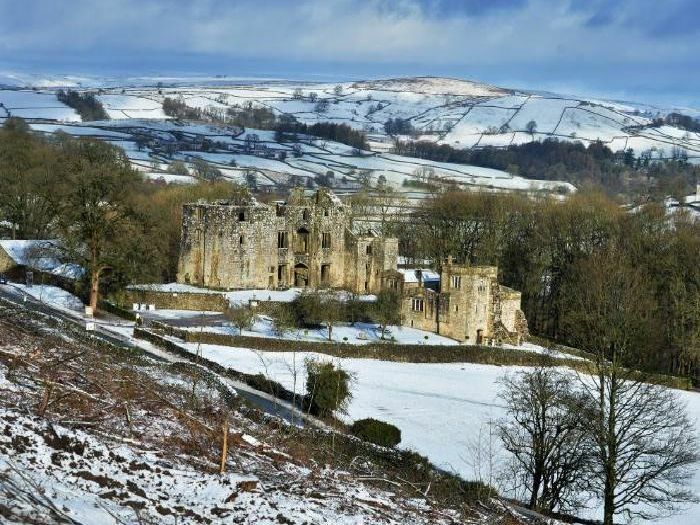 These historic gems and natural wonders are hidden away in Yorkshire. Here are nine beauty spots off the beaten track, just waiting to be explored. The tower on the Bolton Abbey estate is one of the six original hunting lodges of the Barden forest. In the 15th century, it was rebuilt as a residence for Henry Clifford, but fell into disrepair in the late 18th century. The Gascoigne Almshouses in Aberford, near Leeds, were built by two sisters, Mary Isabella and Elizabeth, in 1844 in memory of their father, Richard Oliver Gascoigne, and two brothers. They are Grade II-listed. The Hole of Horcum in the North York Moors is a section of the valley of the Levisham Beck. The hollow is 120m deep and approximately 1.2km across. Local legend has it that the amphitheatre was formed when Wade the Giant scooped up a handful of earth to throw at his wife during an argument. This Grade II-listed drinking fountain was erected on the Bolton Abbey estate in 1886 as a memorial to Lord Frederick Cavendish, who was murdered by Irish nationalists.